Boil the baby potatoes in their skins until cooked but not soft. Spread each strip of bacon with the Wild Appetite Dark Ale & Garlic Mustard Sauce. 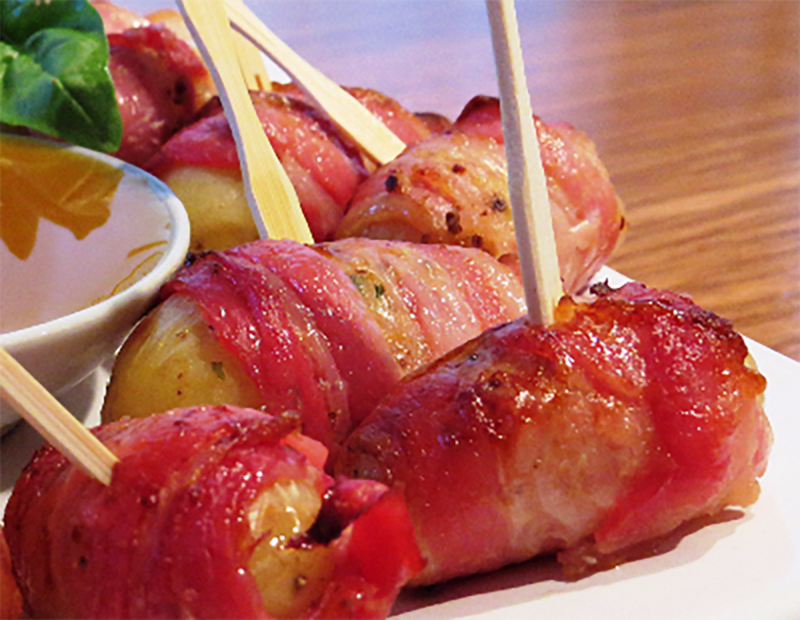 Wrap a piece of bacon around each potato using a cocktail stick to secure. Roast the potatoes at 180°C for 10 – 15 minutes or until the bacon is nice and crispy. Serve hot with a bowl of Dark Ale & Garlic Mustard Sauce for dipping. Enjoy!